Howard Vernon returns, with one of his most powerful books of occult lore to date! 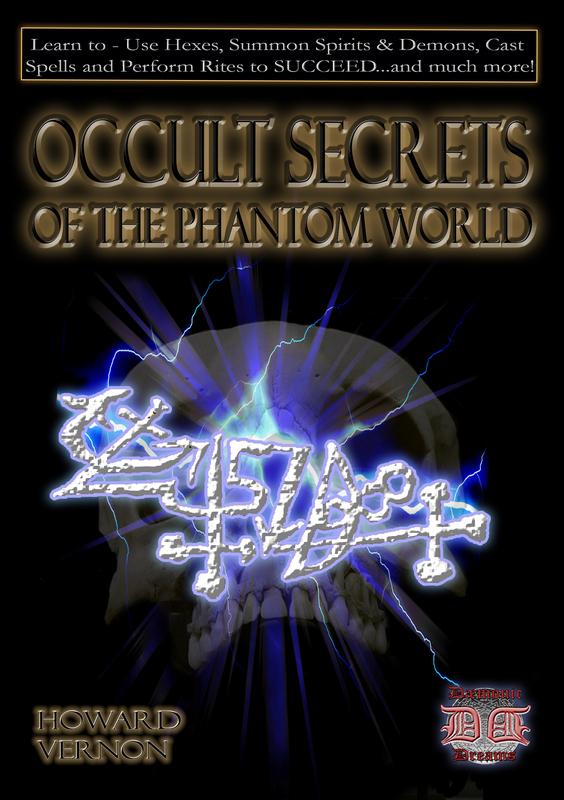 OCCULT SECRETS OF THE PHANTOM WORLD is a truly astounding collection of powerful Conjurations, Deadly-accurate Hexes and Demonic Rites - if you like your Magick DARK, this book will be a valuable addition to your occult arsenal! Vernon is a skilled occultist, whose books and other writings are typified by his no-nonsense approach. Within these pages you will discover a treasure-chest of veritable occult gold; a bounty that you can USE, to enrichen and ease your passage through life. Whether you are seeking wealth and love, or power and revenge, OCCULT SECRETS OF THE PHANTOM WORLD holds the hidden keys to your hearts desires, claims Vernon. This is not - obviously - a book of homely charms and healing energies... it is, quite unashamedly, a book of POWERFUL BLACK MAGICK! The rites contained within these pages have been employed by Magicians and occultists for centuries, and Howard Vernon here breathes new life into the possibilities which now lay before you.